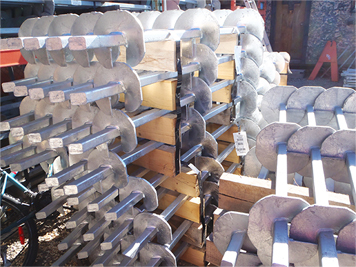 Western Helical Supply is a helical equipment supplier for the Chance helical product line in British Columbia, Canada. We have worked in the foundation industry for many years and pledge to be an excellent resource for our dealer/installers. Are you starting a foundation repair company or already have a successful construction company and want to start a foundation repair division? Our CHANCE dealer opportunities program may be the perfect fit for you! At Western Helical Supply, we are always looking for opportunities with select partners who maintain high professional standards and wish to expand their business by becoming a Certified Dealer/Installer of CHANCE Foundation products.